Viktor Tsoi died on Aug. 15, 1990, at the age of 28 and became a true symbol of the Perestroika during the late Soviet Union. He remains a cult figure many years after his death and his songs are still being performed by rock and street musicians throughout Russia. The Russian music streaming service Yandex Music has counted that songs of Viktor Tsoi were listened to for a combined total of more than 1,000 years on the service. Songs by Tsoi and his group Kino not only play on loop on many radio stations, they are also regularly performed by popular Russian singers. Many in Kino’s fan army still refuses to accept his death and believes, as it was in 1990s, that "Tsoi lives!" Here are five reasons for the charismatic singer and Kino’s phenomenal popularity – and lasting legacy. The most iconic song of that time – “Changes!” – was written by Tsoi and was a rallying call for political reform in a bid to break the shackles of Soviet life. 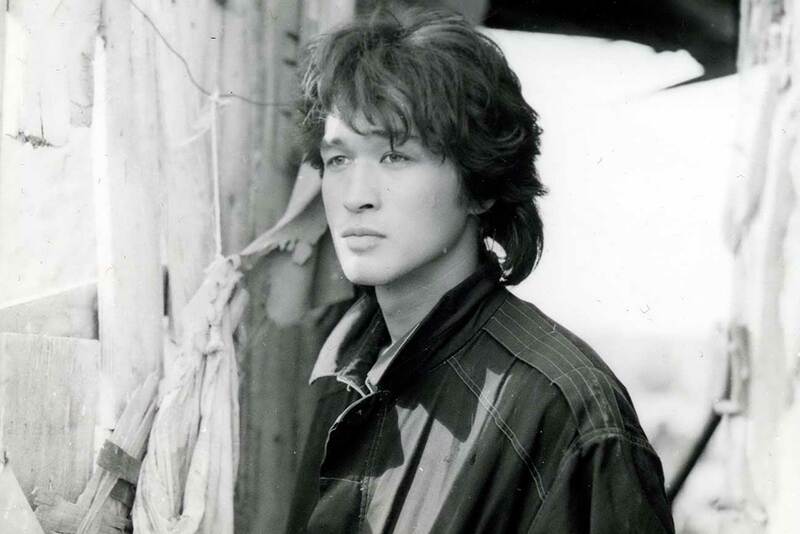 “Changes!” was first performed in 1986 and the song’s success was boosted a year later after the release of the film Assa – which includes a performance of the track by Tsoi himself. The song was soon referred to as the “Perestroika anthem.” Soviet leader Mikhail Gorbachev said the tune “reflected the nation’s desire for change,” when talking about what sparked Soviet reforms. We are waiting for changes." The prerequisites for a political manifesto are all to evident in these lines. One of Kino’s members, Aleksey Rybin, said Tsoi was not referring to “political changes” but to “more profound changes in people.” Anyway, it’s undeniable that the song was one of the biggest hits of the era. The authorities didn’t smile too favorably on rock music during the time of the Perestroika, which only increased Tsoi’s rebellious allure in the eyes of Russia’s youth. When rock music was eventually viewed in a more sympathetic light by the government, musicians were granted access to the mass media and became true idols - almost overnight - for the late Soviet youth. Tsoi’s passion for music was somewhat subdued by the Soviet rule and he started working at the boiler station to stay out of trouble. In the Soviet Union unemployment was officially and theoretically eliminated. Those who refused to work were criminally charged with “social parasitism.” Russian-American poet Josif Brodsky, who was awarded the 1987 Nobel Prize in Literature, was charged with this offense. In order to avoid the same fate, many Soviet non-conformists worked as janitors or stokers. Later, “Kamchatka” was transformed into a Tsoi museum. In 1989 The Needle became one of the most watched movies in the Soviet Union. According to a survey conducted by popular movie magazine “Soviet Screen,” the audience considered Tsoi to be the best actor of the year. Kino’s frontman died in a car crash on a Latvian highway in 1990. Tsoi fell asleep behind the wheel while driving at high speed, possibly due to fatigue, causing his car to turn onto the oncoming lane and collide with a bus. He died at the tragically young age of 28. After Tsoi’s premature and mysterious death, a “cult of Tsoi” was formed by his fans. A graffiti-covered wall in the center of Moscow is dedicated to Tsoi and his band Kino. Inscriptions such as “Kino,” “Tsoi is alive,” and “Viktor did not die. He just went for a cigarette” can be seen. There are also homages to Tsoi in other cities. Top 5 most popular rock artists from Russia? Balalike it!